Comprehension Text and Exercises: Canada, Fun & Interesting facts about the Great White North! 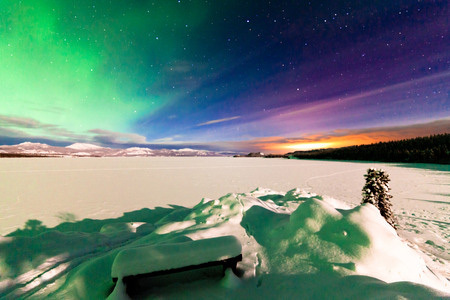 Fun & Interesting facts about the "Great White North!" Did you know Canada is the second biggest country in the world, second only to Russia? In fact, Canada is bigger than the entire European Union put together! 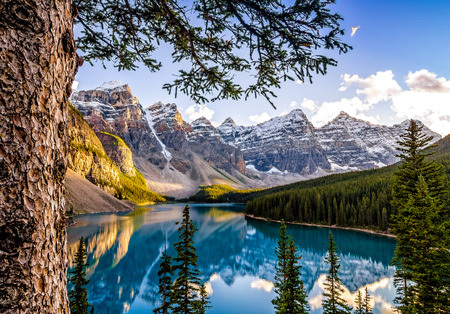 There are many interesting facts about Canada, some that may surprise you! Maybe you'd like to visit Canada some day, or maybe you already have and some of these facts will be familiar to you. Today we're going to learn some fun and interesting facts about the country commonly called "The Great White North!" 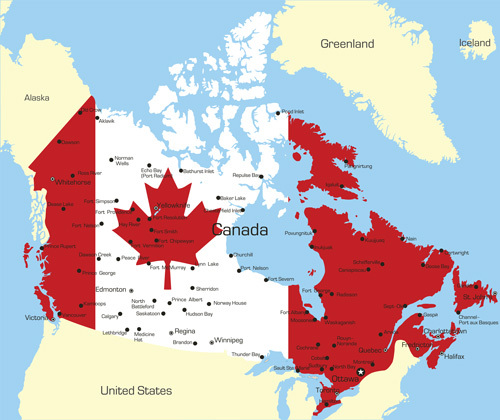 Canada has ten provinces and three territories. It also has six time zones! Its capital city is Ottawa. Ottawa is in the province of Ontario. It has a population of 36 million people. This is small compared to other countries. It is also small considering its large size! Over 80% of the population live near the United States border. The Canadian and US border is the largest border in the world. Over 30% of the country is forest. And Canada has 10% of the world's forests! Canada also has more lake area than any other country in the world. Canada is a very young country. Canada only became a country in 1867. The country celebrated its 150th birthday in July 2017. July 1st is Canada Day. People all across the country celebrate by wearing red and white. Red and white are the national colors shown on its flag. Canada was first discovered by the French explorer, Jacques Cartier in 1534. However, people had been living in Canada long before that. Indigenous people had been living in North America for centuries. Indigenous people still live in Canada today. Canada's national animal is a beaver! And it has two national languages, both English and French. However, only two provinces are officially French speaking, Quebec and New Brunswick. Canada is still strongly tied to the country of England. Like Australia, Canada celebrates the Queen of England as their Queen too! When many people think of Canada, they think of maple syrup. 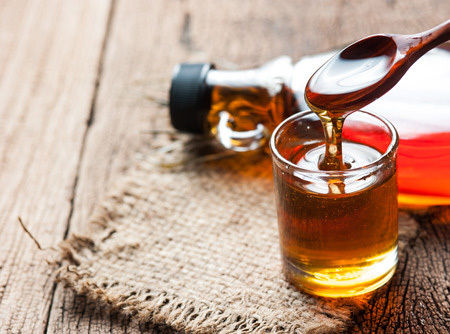 Did you know that the Canadian province of Quebec is responsible for 70% of the world's maple syrup? Maple syrup is a delicious sweet and runny sauce used commonly on pancakes, waffles, french toast and oatmeal. Historically, indigenous people started producing maple syrup. When Europeans first came to Canada and met these indigenous people, they adopted some of their practices, including how to make maple syrup. In July 2013, there was a maple syrup robbery. A group of thieves stole $18 million worth of maple syrup! Can you believe that? They took 3,000 tons of maple syrup from a warehouse in Quebec. The man in charge was fined nearly $10 million and is facing 9 years in prison. Maple syrup robbery is a serious crime in Canada! Maple syrup is worth more than oil! Canada has its own currency. It is the Canadian dollar. If you travel to Canada, you will hear Canadians use the words "loonie" and "toonie." A "loonie" is a one dollar coin. It is called a "loonie" because there is a loon on one of its faces. 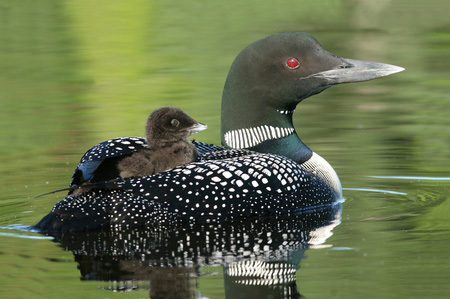 A loon is a type of water bird, similar to a goose or a duck. They are commonly found in Canada. Can you guess what a "toonie" is? It's a two dollar coin! People often think of Canada as being very cold. This is true for some parts of Canada. In Ottawa, the average low temperature in the month of January is -14.4 degrees Celsius. That may seem very cold to you. But the Yukon is a northern territory in Canada. Their coldest recorded temperature is -63 degrees Celsius. It was recorded in 1947. That's almost as cold as planet Mars! Canada isn't always cold however. In the summer months, it can get quite hot. On the west coast of Canada in fact, there are places where it rarely snows. Instead, in the winter months these areas get lots of rain. The Canadian postal service assigned an official address for Santa Claus in the North Pole. They even gave him a postal code of H0H 0H0! Every Christmas, Canadian children send letters to this address. They are all read and answered by the postal service! The world's largest coin is found in Canada.  It is a reproduction of a nickel. A nickel is a five cent coin. It is located in the province of Ontario and it measures 9 meters! Canadians love ice hockey and most Canadians play it. Canada holds the record for the most gold medals ever won at the Winter Olympics. In 2010, the Winter Olympics were hosted in the Canadian city of Vancouver. Canada won 14 gold medals. The name "Canada" is actually a mistake. Remember Jacques Cartier, the explorer who discovered Canada? Well, he spoke with indigenous people when he found Canada. They spoke a different language, and their word for "village" was "kanata" or "canada." Cartier thought that this word was the name of where he was. From this, the country of "Canada" was born! Do you know the Netherlands? It is a country in Europe. Well, the Netherlands and Canada have a very good relationship. 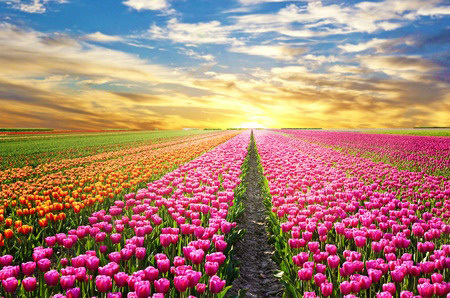 In fact, the Netherlands commonly gives Canada a gift each year of thousands of tulip flowers. In 1943, a princess from the Netherlands was in Ottawa and about to give birth to her daughter. But according to their laws, if the baby was born outside of the Netherlands, she would not be a citizen of the country. So Ottawa turned the princess' hospital room into official international ground. This means that the hospital room was now "international" territory and not just Canadian. The baby could be a citizen of the Netherlands. Because of this, Canada and the Netherlands are very good friends. As you've read, Canada is big and interesting country. If you should every want to visit Canada, cities like Toronto, Montreal and Vancouver are very big tourist destinations. You can also go to coastal cities like St. John's or Victoria and spend time with ocean wildlife. There is something to see and do for everyone in Canada. What is Canada commonly referred to? Why is the Canadian one dollar coin called a "loonie"? Because it has a loon on it. Because there are many animals in Canada. Who does Canada have a good relationship with? How many provinces and territories are in Canada? Canada is a young country. Canada was established a very long time ago. There was no one living in Canada when it was discovered. Canada is a bilingual country. There are parts of Canada where people speak both English and French. English is the only language spoken in Canada. "Some places in Canada get very cold." "Canada produces half of the world's maple syrup"